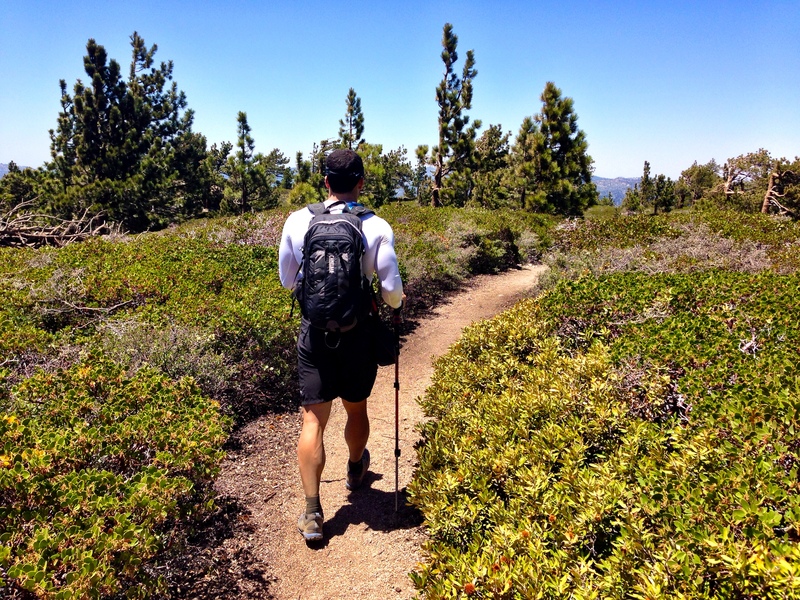 The hike to San Bernardino Peak starts from a trailhead in Angelus Oaks off of HWY 38. There is a dirt road turn-off just after the fire station. Since we don’t have a high clearance vehicle, we parked across the street from the fire station and walked the .25 miles to the trail head. A permit is required to hike this trail, so we stopped at the Mill Creek Ranger station on HWY 38 on our drive in. You will also need an adventure pass to park. The trail to San Bernardino Peak starts at the base of the parking lot where the dirt road dead ends. The first few miles climb very gradually amongst a multitude of trees and shade, making this hike perfect for hotter summer days. The trail composition is mostly dirt and crushed gravel, with larger rocks only presenting themselves towards the summit. This hike could easily be done in a pair of running shoes if there is no snow or ice present. We walked at a fairly relaxed pace for the first few miles enjoying the beautiful scenery when we came upon a campsite with spectacular views. I think we’ll bring a tent and make a weekend of this trail next time. After about 3 miles of climbing, the trail levels out quite a bit and stretches east to set up a final north-to-south ascent of San Bernardino Peak. This was the most beautiful section of hiking with plenty of greenery surrounding fallen trees, blue skies, and wild flowers. At about the 5 mile mark the grade began to pick up for the final 3 miles to the summit. The trail got a little more rocky, but nothing compared to similar elevations in the San Gabriels. After a series of switchbacks we approached Washington’s Monument, and old survey point established in 1852 by surveyor Henry Washington. 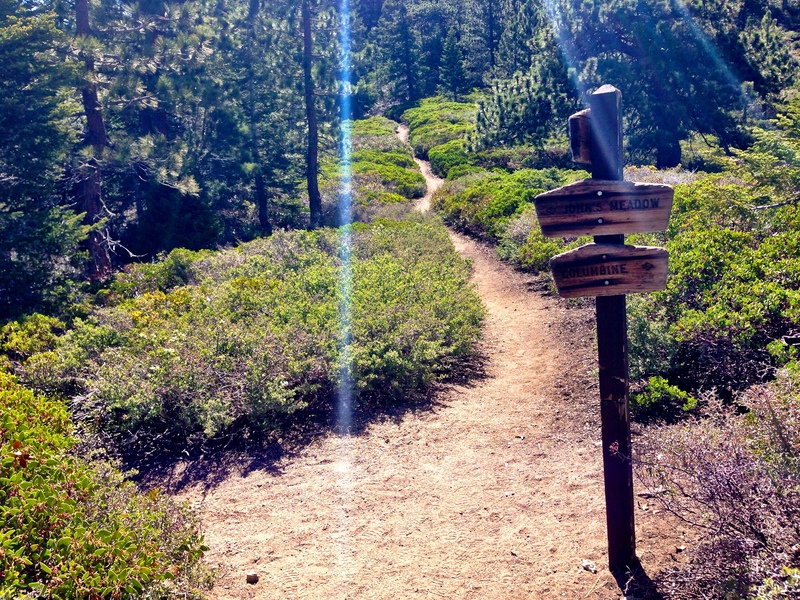 It was at this point in the hike that beautiful views of Big Bear lake appeared to the north. After climbing 4895 feet in 8.2 miles, we reached the summit. 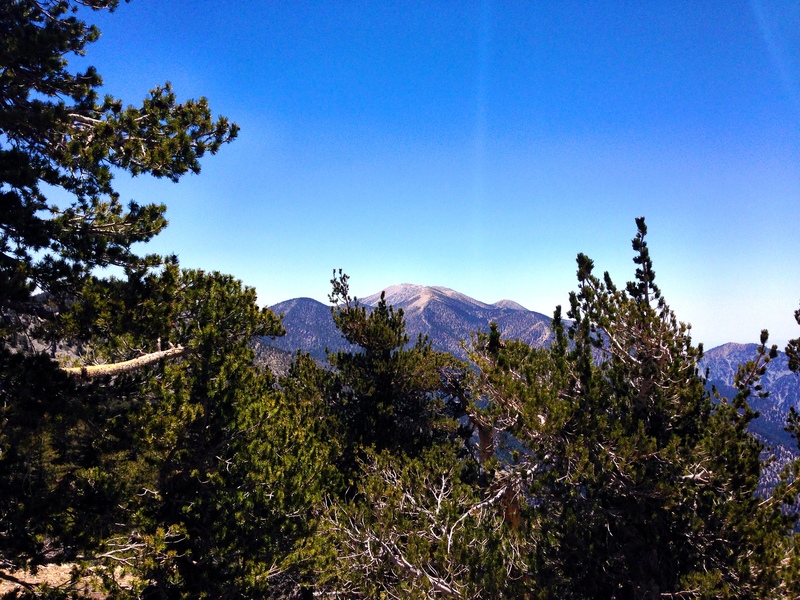 From the summit you get a great view of San Gorgonio…the final peak in our SoCal Six Pack of Peaks! Although the parking lot seemed rather full when we arrived, they trail offered a great deal of alone time and solitude. This is something that is nice to find after hiking on various trail in the San Gabriels, which can draw dozens of Meetup groups each weekend. We will definitely be back to do this one again. Next time, we’ll attempt to summit Anderson Peak as well.